"I've been a loyal customer of Jack Grace for a little over a year now. Time and time again they have a speedy and reliable customer service team to answer any questions you may have. The quality and beauty of their products is always top notch. 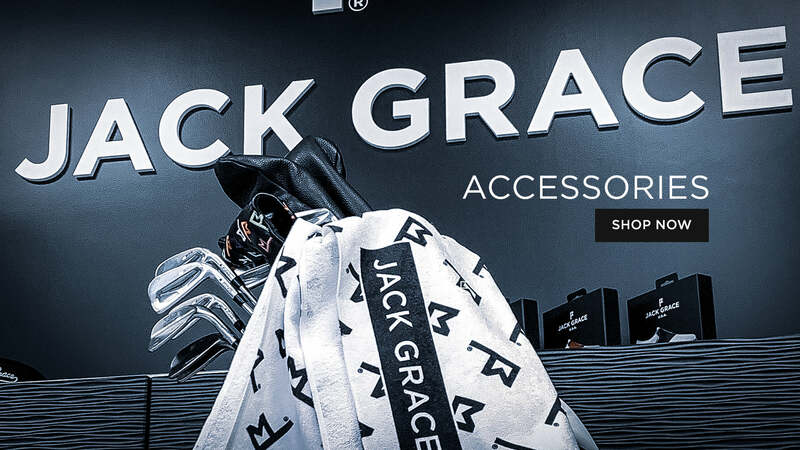 I recommend Jack Grace to any golfer looking to switch it up from the typical Nike and Footjoy shoes of the world. A new king has emerged." "Just received my shoes today with 3 more saddles. Everything about this shoe is impressive!! The packaging is sharp and thoughtful. Tried the shoe on and straight out of the box they’re comfortable. Saddles are easily interchangeable and look awesome, especially the crocs! I now have 4 different looks with 1 shoe! The only problem I’m having is I’m jealous ‘cause I didn’t think of this first!!!" "Best golf shoe I have ever purchased. Very true to size, very comfortable!! Can’t wait to get my white pair." "I received the new shoes and wore for a 3 day tournament, most comfortable golf shoes I have worn with a classic look in 45 years." "Customization capability is top notch. The quality of the shoes with my country club's logo is really well done. Great compliments from all who have seen the shoe!" 60 Day Hassle-Free Returns & Exchanges. Jack Grace USA is a premier golf footwear company specializing in high-quality saddle golf shoes with unique saddles you can swap. These saddles provide matching color for any of your golf looks, allowing for easy customization and versatility. 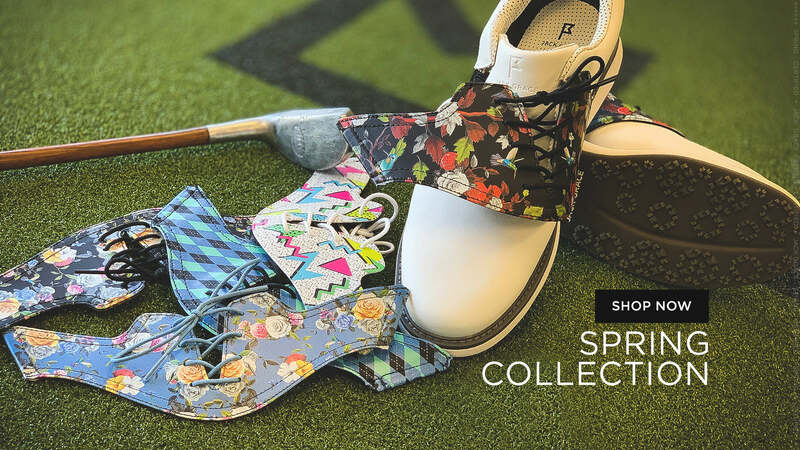 The swappable saddles feature fully functional laces that tighten the shoe for comfortable golf footwear. Our shoe and saddle technology allows for you to get every possible look you would want out of your shoes without sacrificing quality or durability. That is what makes Jack Grace USA stand out. "Customizable for every mood and style... a secure and comfortable fit." "An innovative shoe that allows you to express your style with endless possibilities." "These shoes are double the awesome. 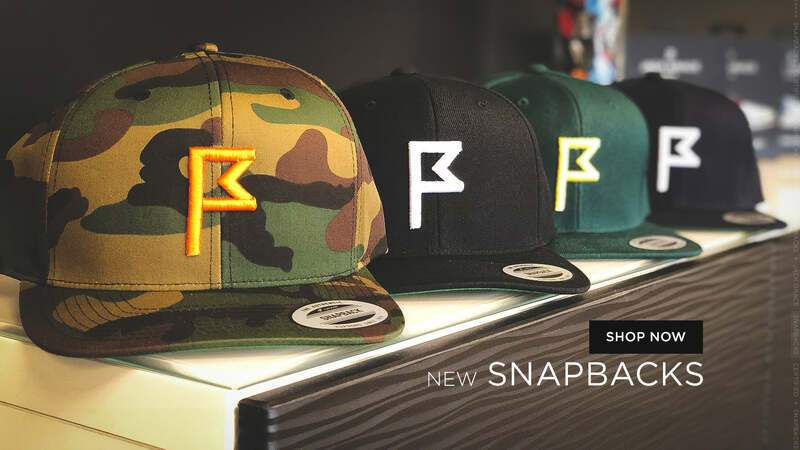 They look sharp, for sure, but you can also customize them to look however you want... How cool is that?" "There are so many different saddleback options that you can match any color with any outfit without needing an entire closet of shoes." "Swap your saddles. With Jack Grace’s innovative interchangeable saddles system, your shoes and your clothes will always coordinate... A special printing process also allows for custom options." "Why get dad one pair of golf shoes when you can get him four, or more?... Bart even named his company after his two children." "The Jack Grace Innovator 1.0 golf shoe allows you to script your shoes to match every outfit just like the pros."